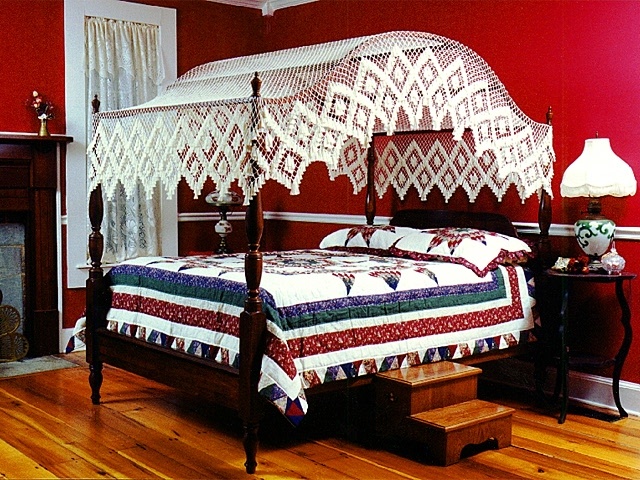 This is our most popular and the one we regularly feature in Country Sampler Magazine. 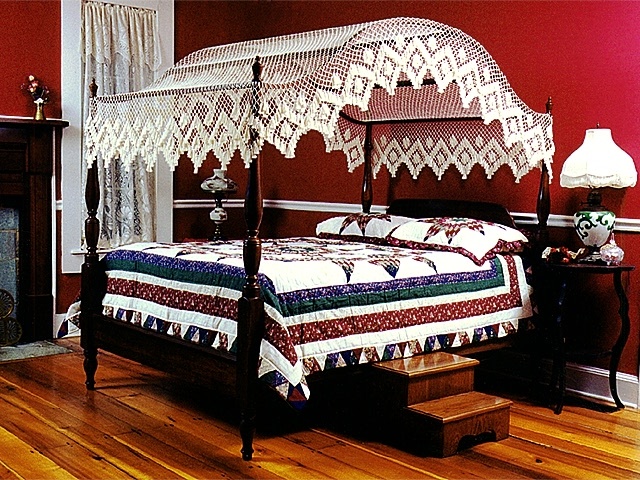 Available for flat or arch canopy bed. This is a good choice for those of you that want the diamond design but prefer a shorter drop. This is another popular design. This has a full tasseled straight edge and has a simpler beauty all its own. Available in 12 inch drop with 3 rows of clusters (4 tassels) instead of 4. We now offer the lovely Margaret Winston Design. 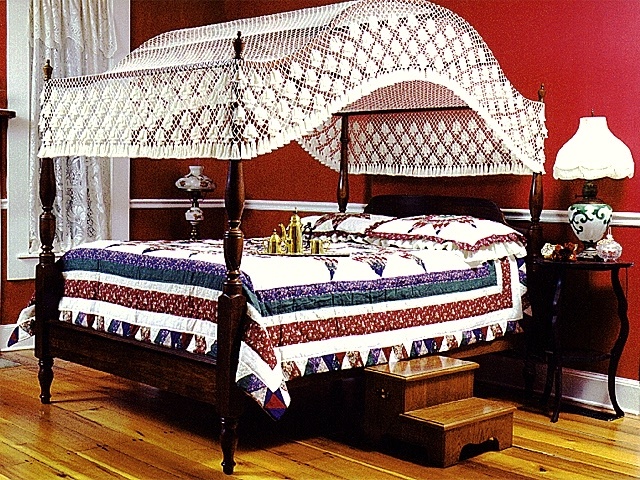 Available in 12 inch drop with 2 rows of clusters (4 tassels) of instead of 3. 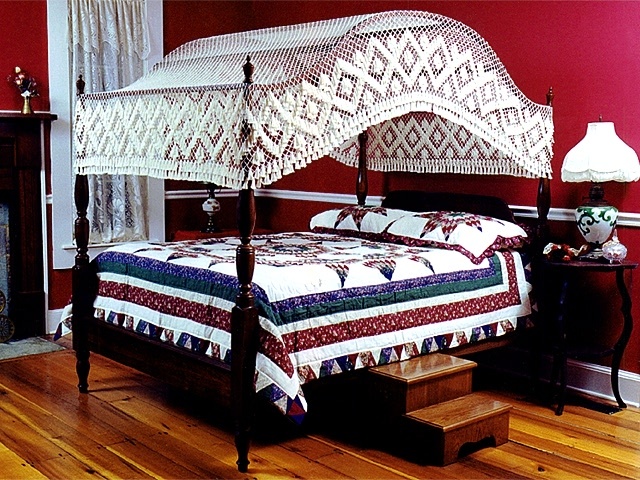 We can make the canopies to fit these beds. We will need to know if the finials or posts are not removable or if the diameter is over 3/4 inch. The canopies are hooked up so they will fit over the finials or posts. You can call our toll free number or type the information in the message box found on the order form. The canopy with no frame is held in place by 50# test fishing line. 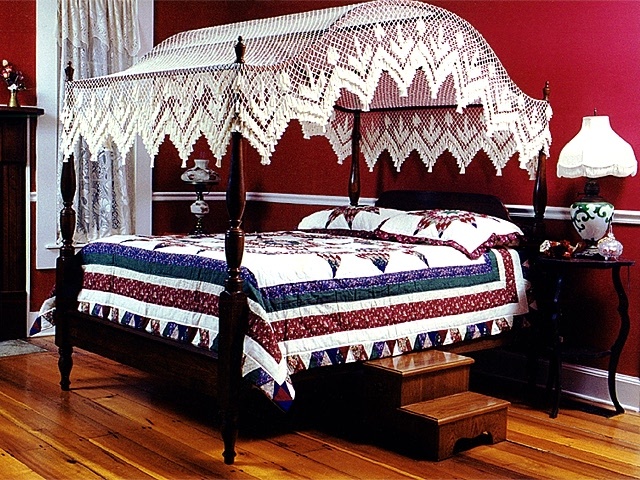 The line is placed on the outside of the bed posts and crisscrossed for support. The line would be where the measurements are taken for the canopy. Canopy “drop” lengths are typically 13” to 15”. A Shorter 12” drop is available only on Single Diamond, Lover’s Knot and Margaret Winston. 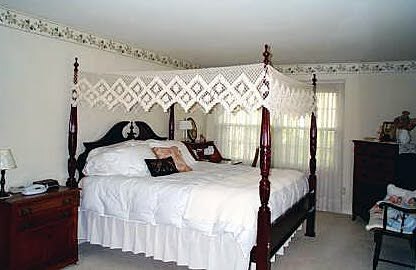 Please note that the canopies are displayed here on a 60 inch tall bed. 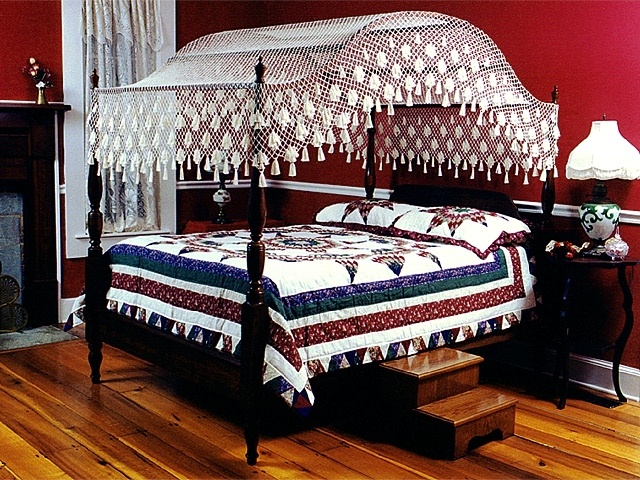 Most bed posts are substantially taller therefore the drop will not appear as long. Most orders are shipped within two weeks. ©2019 Heirloom Canopies, All Rights Reserved.